My longstanding recommendation that you rely primarily on plastic for travel money—credit cards for big-ticket items, debit (ATM) cards for cash—remains as valid as ever. In some cases, you can avoid fees and losses entirely; in others you pay something but lose less than any other way. For foreign travel, especially, you can’t beat plastic. American Express: No fee on purchases or withdrawals with platinum cards, 2.7 percent on most other cards. Bank of America: 3 percent on credit card purchases; $5 plus a 1 percent conversion fee on each cash withdrawal, regardless of the amount. The big exception: BofA adds only the 1 percent conversion fee and no transaction fee on withdrawals from ATMs owned by other members of the Global ATM Alliance, which currently includes Scotiabank in Canada and several Caribbean countries, Barclays Bank in the U.K., BNP Paribas in France, BNL D’Italia in Italy (new this year), Deutsche Bank in Germany, and Westpac Bank in Australia and New Zealand. Also, BofA accountholders can withdraw local currency with no transaction fee at China Construction Bank in China and Banco Santander in Mexico. Barclaycard (Juniper): 3 percent on credit card purchases and withdrawals. Capital One: No charge on either purchases or withdrawals—not even the 1 percent conversion fee. Chase: 3 percent on credit card purchases and $5 plus 3 percent on each debit card withdrawal on most cards, except that Chase now issues 10 premium credit cards with no 2 percent fee. Citi: 3 percent on credit purchases and on ATM withdrawals, except that Citi now issues three premium credit cards with no fees. Discover: Adds no fees, but has limited foreign coverage. HSBS: 3 percent on most credit card purchases, except that it adds no fees on two premium cards. USAA: Only the 1 percent network conversion fee on purchases or withdrawals. Wells Fargo: 3 percent on credit card purchases and $5 per ATM withdrawal, except that it is testing a no-fee card with a few customers. US Bank: 3 percent on credit card purchases and ATM cash withdrawals. 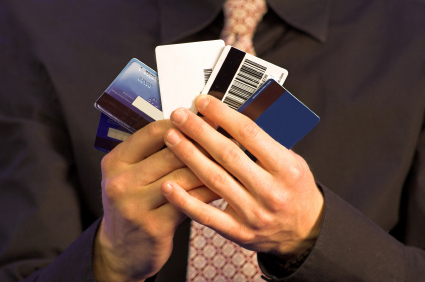 Beyond these biggies, many smaller banks and credit unions issue no-fee or low-fee cards for international travel. And the big banks often waive some or all fees for highly preferred customers. Although a lot of you complain about the 2 percent bank add-on fee—after all, the bank does nothing but post the dollar amount to your account—you still lose less than exchanging currency. A recent study by Card Hub found that typical banks charge an average of 8 percent more for foreign currency than the average credit card fee—some up to 11 percent. Even worse, says Card Hub, exchange desks at U.S. airports charge 15 percent more than you pay with a credit card. That study was based on exchanging euros, but I suspect that the pattern is the same with other currencies as well. If you’re traveling within the United States this summer, keep in mind that you’re likely to pay $3 to $5 for each withdrawal at an ATM owned by any bank other than the one where you have your account. And those private stand-alone ATMs may charge even more. As for sending money to someone else, you can’t beat PayPal, which adds no transfer fees for cash advances to private individuals. Traveler’s checks? They’re so 20th century. In fact, I had trouble finding a bank that would exchange two old traveler’s checks I decided to use on my recent trip.